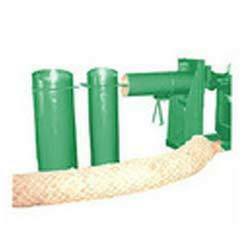 Our product range includes a wide range of industrial coco log machine. With the help of an efficient workforce, we are capable of providing our clients with a superlative range of Industrial Coco Log Machine. These products are fabricated to meet with the global quality standards. Furthermore, these are subjected to strict parameters so as to ensure its superior quality. Customers can avail these products from us at market-leading prices. Packaging Details: Palletized With Stretch Wrap Flim.